Updated 1:15 p.m. | Posted 11:42 a.m.
Minnesota's now dealing with 41 confirmed cases of measles, including one where an unvaccinated Crow Wing County child contracted the disease after being exposed in a Hennepin County health care facility, state and county health authorities said Thursday. Of the confirmed cases of measles in Minnesota since mid-April, all but three were in Hennepin County, according to the Minnesota Department of Health tally. That includes two in Ramsey County as well as the newest case in Crow Wing. A case previously posted for Stearns County has been ruled out by further testing, the agency said. 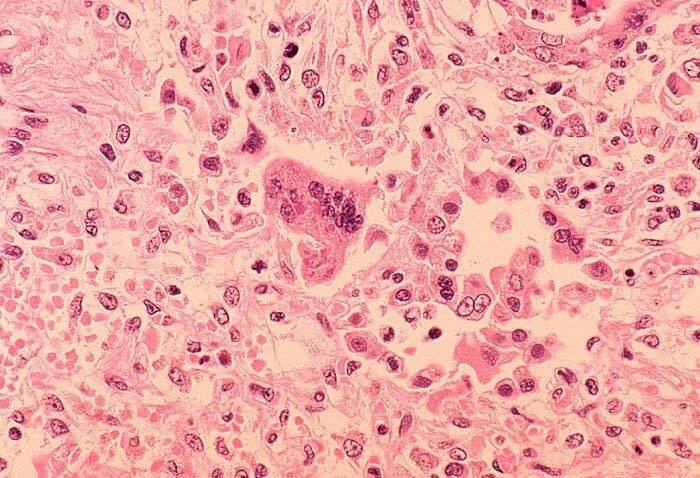 Measles is a serious disease that is easily spread among those who are unvaccinated and can lead to hospitalization and even death, the state Health Department warned. Symptoms begin with a fever, cough, runny nose, and watery eyes; then a rash develops that usually spreads from the head to the rest of the body. Most people in Minnesota are immune because they were either vaccinated or previously contracted the disease. "However, in recent years vaccine rates have declined in some communities and groups, often due to fears related to misinformation about vaccine risks," the department added. Most of the exposures in the current outbreak have occurred in either child care, health care or household settings. More than 2,500 people have been exposed so far, officials estimate. "Once measles begins to spread in unvaccinated populations, it can be very difficult to stop," Kris Ehresmann, the state's director of infectious disease control, said in a statement. "We would not be surprised if we saw additional cases in other parts of the state where there are clusters of unvaccinated people before this is over."